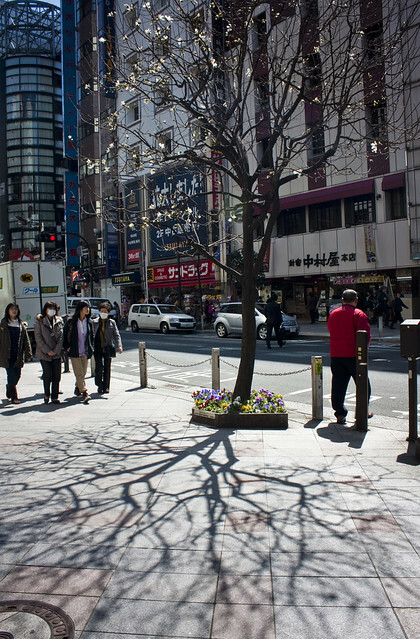 I arrive in Tokyo on a clear, crisp afternoon. As my train makes brisk progress from Narita Airport to the city centre, I stare out the window at the country fields giving way to suburbia and then a densely crammed cityscape. The city seems calm. Kids run freely through an asphalt schoolyard. Uniformed boys play softball in a neighbourhood field. Men stand next to the muddy banks of a river, hitting golf balls into the water. I’ve come here to see how Japan’s capital is bearing up under what has been described as the worst disaster to hit the country since World War II. Two weeks ago, on March 11th, an earthquake stirred up a tsunami that rushed towards the country’s northeast coast. Thirty minutes later, 30-metre waves crushed towns as far as ten kilometres inland. Fishing boats were dropped on top of three-storey buildings. Thousands of people were swept out to sea amidst churning rubble. When the sun set three hours later, tens of thousands were dead and hundreds of thousands homeless. As I write this, another disaster brews. Damaged by the earthquake and flooded by the tsunami, emergency generators at the Fukushima I Nuclear Power Plant failed, causing the cooling system to malfunction. Reactors overheated; a meltdown seemed imminent. 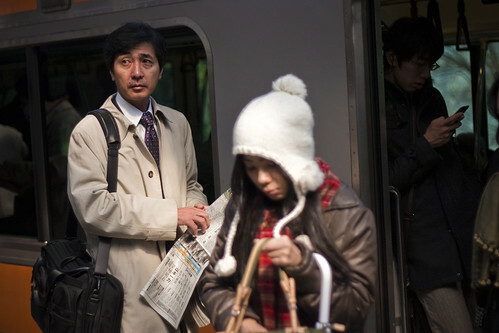 Spooked, foreign bankers, English teachers, and even journalists have fled Tokyo en masse. Radioactivity has since been found in vegetables, milk and tap water. Shipping companies are avoiding the port after Fukushima was revealed to be spewing contamination into the sea. Skyscrapers loom, and, with them, the unknown. Friends are surprised I’m even here. If international headlines are to be believed, the world’s largest city, with 35 million people and an economy 40 percent larger than Canada’s, is on the verge of becoming the next Chernobyl. Tokyo is immense. Standing in one of its many shopping districts, you are engulfed by human rivers rushing between banks of exuberantly lit buildings. The city’s edge is inconceivable. You can wander for hours, even days, through the crowded streets that meander and change direction in an undulating landscape of wood houses and concrete skyscrapers; all of it crisscrossed by a constellation of railways gliding towards infinite destinations. Though the city was relatively unscathed by the earthquake—walking the streets, I don’t see any damaged buildings—I am struck by the many small reminders that these are unusual times. Vulnerable times. 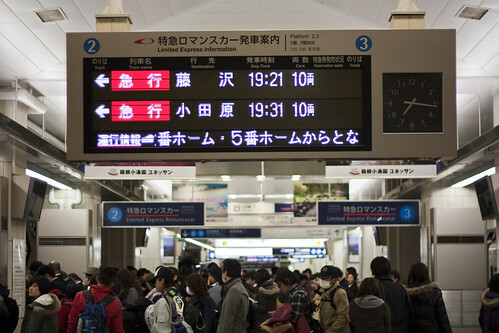 On the Yamanote Line, the railway that circles central Tokyo like a necklace, video screens flash constant announcements of train lines suspended because of earthquake damage. Large swathes of the city are still suffering from rolling blackouts. Most surprising was how quiet it is. Gas shortages mean that traffic is light; on some streets, lone taxis cruised around looking for passengers. On hushed trains passengers bury their heads in flip phones. When I crack open a can of instant coffee, it cuts through the silence of the carriage. A few passengers look towards me, nonplussed. Later, when unpacking my things in my Shinjuku hotel room, I feel the room sway, then abruptly stop: an aftershock. 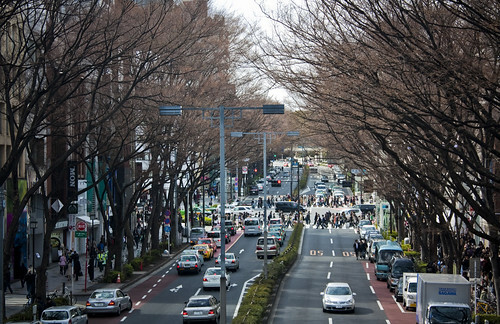 In the weeks after March 11th, Japan was hit by more than a thousand tremors. Several of them were major earthquakes in their own right, violently shaking skyscrapers and leaving hundreds injured. 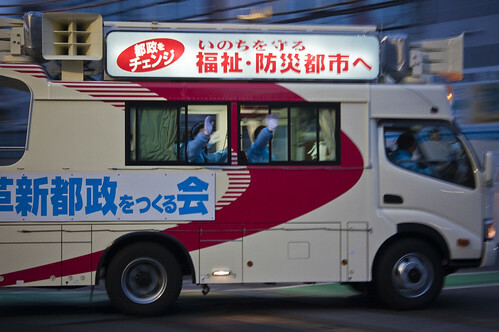 The aftershocks were so frequent that many Japanese had started feeling phantom quakes and suffering from sudden attacks of dizziness and anxiety, a condition diagnosed by doctors as “earthquake sickness.” I’m lucky: what I experienced was hardly something to be worried about. But it’s my first earthquake, and it leaves me light-headed as I ride the metro to the business district of Akasaka, where I met with Toshitsugu Maeda, a freelance journalist who is covering the disaster for Reuters. Maeda looks tired. A few days before, he had ventured deep into the rubble of the earthquake zone, interviewing survivors and witnessing the totality of the destruction. He tells me he doesn’t trust the way the Japanese media was reporting the nuclear crisis. 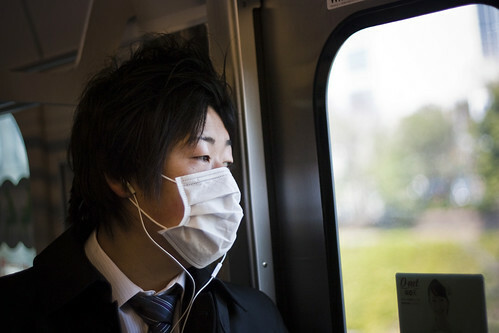 “Nobody was saying what the worst case scenario might be,” he said, so it came as a huge shock when the Tokyo government issued a warning about radiation in tap water. I keep hearing the same thing from Tokyoites: “We don’t know what to believe,” “We don’t know who to trust.” I wouldn’t have been surprised to hear this in China, where an authoritarian government has left people with an inborn cynicism. 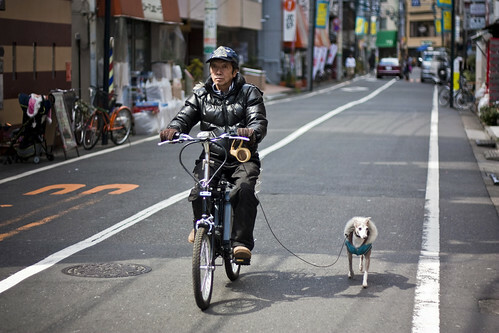 But this is Japan, a stable, prosperous country known for its largely unquestioning acceptance of authority. The international media coverage of the disaster didn’t help. 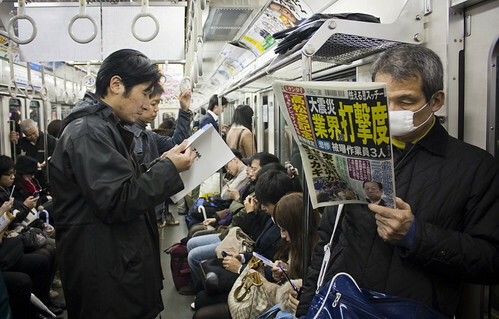 Many Japanese noticed a striking discrepancy between domestic media and foreign outlets like CNN. Should they trust public broadcaster NHK’s cool updates on attempts to fix the problems at the nuclear plant? Or CNN, with its round-the-clock meltdown watch and excitable anchors? Some people are taking matters into their own hands. They scour news feeds to provide real-time updates on Twitter. They live-stream press conferences about the nuclear situation on Ustream. They exchange emails and kept each other informed of the latest developments. None of this is enough to reassure Maeda. He tells me his wife, who is from Peru, is becoming anxious. She wants to leave. Tens of thousands have already left Tokyo to stay with relatives in Western Japan—which was unaffected by the disaster—or, if they can afford it, have gone overseas. And many of the Japanese who left are, like Maeda, married to a foreigner. Resentment is emerging over the exodus. 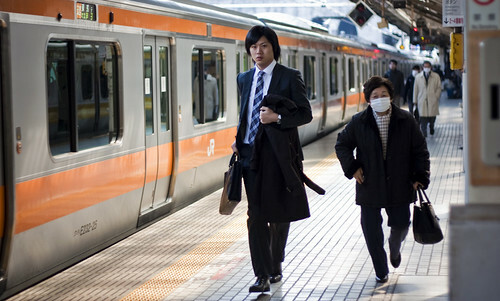 Fleeing foreigners are immediately, and derisively, labelled “flyjin,” a coinage based on the Japanese word gaijin, which means “outsider.” Beneath the criticism seemed to be a fear that the most successful and most upwardly mobile people were abandoning Japan at a time when it needed them most. 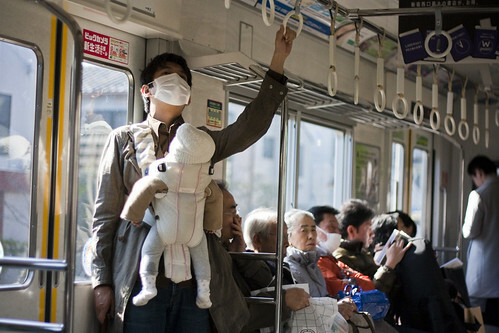 Tokyo has dealt with far worse, even in living memory. In 1923, 140,000 people were killed when the city was levelled by the Kanto Earthquake. In 1944, the city was flattened once again by Allied firebombing, which killed more than 100,000 people and left a million homeless. Ever since World War II was ended by nuclear bomb, the threat of annihilation has been seared into Tokyo’s popular imagination. You can see it in the pop culture, from 1954’s Godzilla to the 1980s manga series Akira, which imagined life in a city ravaged by nuclear catastrophe. 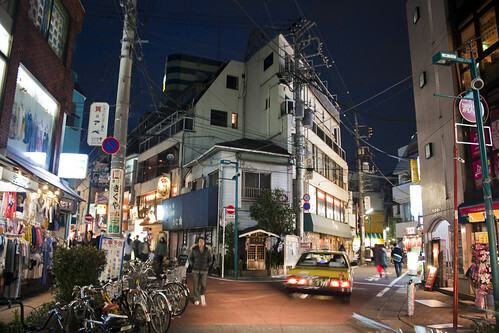 Few cities have mulled their own demise as much as Tokyo. The city sits near the junction of three tectonic plates, making it exceptionally vulnerable to a large earthquake. Everyone I encountered was shocked by the violence of the March 11th quake—and Tokyo was 400 kilometres from the epicentre. If the quake had occurred under the densely populated Kanto Plain, on which Tokyo sits, the damage would have been catastrophic. 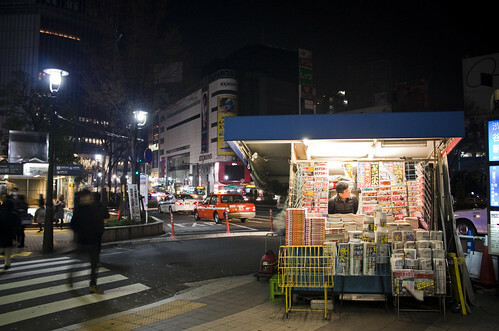 “Tokyo is woefully unprepared for the big one,” declared an editorial in Asahi Shimbun, a major Japanese daily. Even if its buildings survive, the editorial noted, little thought has been paid to the aftermath. Just how do you feed a city of 35 million when roads are destroyed, fresh water is scarce and there’s no electricity? With these fears lurking at the back of their minds, people in Tokyo responded with an unprecedented outpouring of generosity. Other than a rush on bottled water, which led convenience stores to restrict purchases after they had restocked, there has been little evidence of the chaos that might have exploded in other cities. Supermarkets cut prices. Shoppers confronted by empty shelves exchanged tips on how to make do with less. When the government urged people to save electricity by turning off lights and unplugging appliances, people did so with such gusto that at least one predicted blackout was averted. One morning, I pay a visit to Second Harvest, a food bank that has taken over the space underneath an elevated railway in the central neighbourhood of Akihabara, where twenty volunteers a day show up to sort cans of food and boxes of clothing. “People feel helpless and this is a way they can help,” says Masahiro Otake, the food bank’s manager. Venting—via after-work drinks or video games—is how people here get by without going crazy. This is a society, after all, where people work so hard for so long, they sometimes die from stress, a condition known as karoshi. In the past, that hard work was justified by growing prosperity. 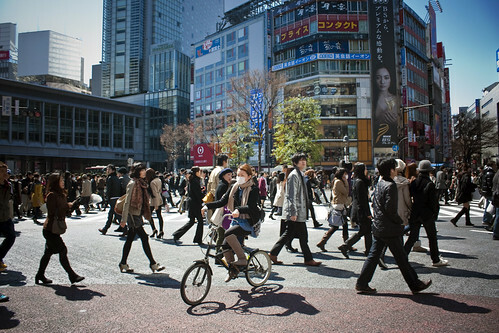 But for nearly two decades, Japan’s economy has sputtered, sending living standards downwards. 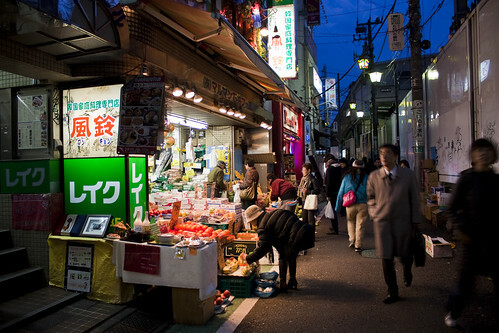 With the last certainties of Tokyo life now upended by the earthquake—and the social mobility workers once took for granted effectively stalled—nobody knows whether the economy will recover, whether the blackouts will continue or even whether, years into the future, radiation will have made local produce dangerous to eat. Psychologists are already warning of an increase in depression among those affected by the disaster. Later, when I wander through Harajuku, I notice none of the outlandishly dressed cosplayers (performance artists who don video-game or sci-fi themed costumes) who normally gather there. As the sun disappears, so do shoppers, as department stores close early to save electricity. 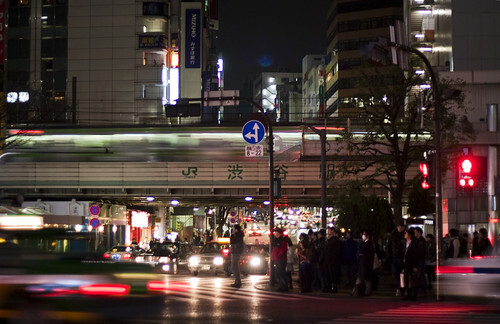 Late at night, there are no drunken salarymen stumbling home after work. 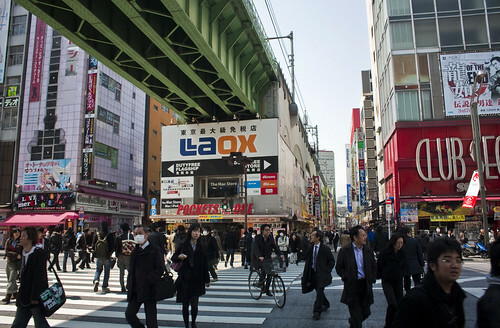 Streetlights are dimmed, billboards switch off and the giant video screens that tower over the world’s busiest pedestrian crossing, in Shibuya, go silent. 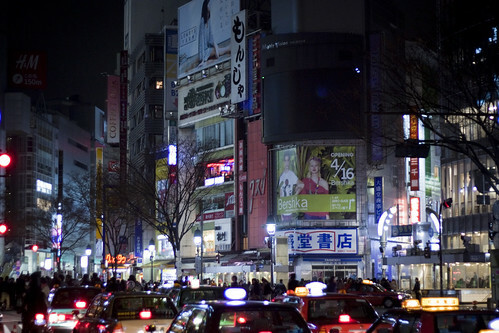 Shibuya is where I meet Shintaro Yoshimoto, a good-natured 27-year-old who lived for two and a half years in Vancouver, where he met his Korean wife, Su Youn. They now live in Yokohama, an hour by train from Tokyo. A couple of days earlier, Su Youn had left for Korea after her family worried about her safety. 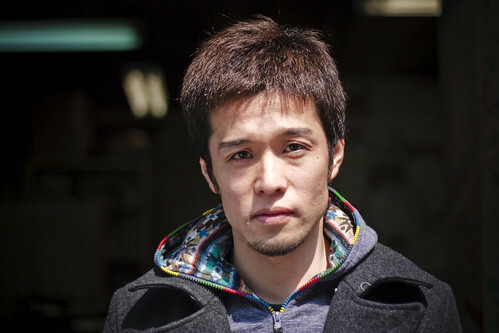 Yoshimoto wasn’t able to take time off from work, so he stayed. But his thoughts keep turning to what he and his wife would do in the future. It was Saturday, and with his wife in Korea, Shin didn’t have any plans, so I invite him to a disaster benefit show I had been told about the day before. 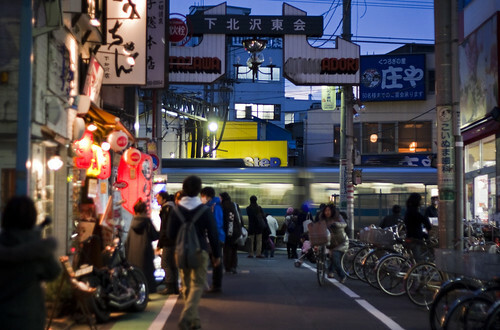 Thirty minutes later, we arrive in the quirky neighbourhood of Shimo-Kitazawa to find a few dozen people standing outside a café, shivering against a chilly breeze while drinking coffee and beer. She sings in a strong, earthy voice. Passersby on the street outside stop to watch the show and the crowd begins to clap to the beat. Shin turns to me. “That’s what we hope,” he say, with a weak smile, and takes a sip of beer. Another version of this story was published in the August 2011 edition of Reader’s Digest Canada. Postscript: Despite signs asking people to refrain from hanami, many Tokyoites took to the parks as normal. Some even staged a boisterous cherry blossom party in front of the Tokyo Metropolitan Government headquarters to protest those requests to stay home. Many thanks go to Matt Alt, a translator and keen observer of Japanese media and culture, who took the time to meet with me and discuss the post-disaster situation. Thanks also to my forthright and savvy editor, Carmine Starnino. This entry was written by Christopher DeWolf , posted on Thursday September 15 2011at 08:09 am , filed under Asia Pacific, Environment, Society and Culture and tagged Behaviour, Disaster, Exploring the City, Japan, Tokyo . Bookmark the permalink . Post a comment below or leave a trackback: Trackback URL.